My name is Paul Alford and I live in Navan and I get 8 hours a week support from my support worker Brian. I’m part of the Arch Club for people with disabilities, and I go by myself every week. Tony Brady is the boss of the club and Mary Davitt is the Secretary, and I get to play games with them every Thursday night for two hours from 7.30pm to 9.30pm. I play table tennis and I enjoy playing it. I got to play table tennis in March 2016, and that was my first time ever playing it in my life. I never got a chance to play it before when I lived in the service until I moved to Navan and got my own place. In 2016, Mary thought I was good at the Table Tennis and she asked me would I like to go to the Special Olympics and play table Tennis. I went to the Special Olympics in Carlow in 2017, and I got through to the final and came second in it, and I got a silver medal. I played two more games and got a medal for coming 3rd, and I got a ribbon for 4th place too. 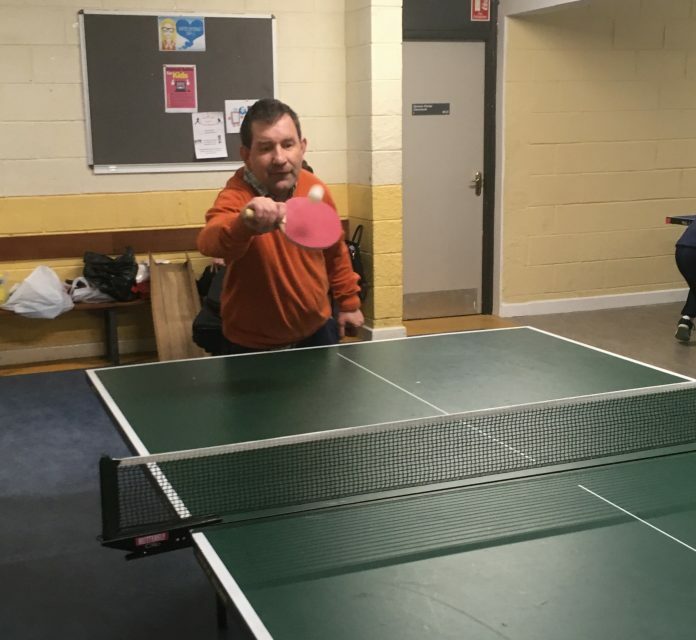 That was good, for the first time ever playing table tennis in the Special Olympics. I enjoyed playing it and I got a card play in the Special Olympics for the next 4 years. That’s good isn’t it?